When you've been bullied in the past, the first day of school isn't usually exciting. In fact, it can be terrifying. It's hard to walk back in the "lion's den," but there are a few things to do that can make it a little bit easier. 1. Reach out and find new friends. If you had a hard time making friends in your classes last year, this year is a great way to get a fresh start. There are more and different people in your classes this year, which proves for more opportunities to make new friends. Don't stay hidden behind your books -- talk! Answer questions in class and engage in classroom discussions. Try to talk to the people around you as well. It doesn't have to be a full-blown conversation at first. Ask for a pencil or give a compliment. Open yourself up to new friendships. Talk to the people you get partnered with. Find a kindred soul. Love art? Check out the after school art opportunities in your class. Love to sing? Is there a drama program you can join? You'd be surprised at the people who belong to groups that you don't know. Look to grades above you and below you, as well. You'd be surprised to see how many people are looking for a friend, too. 2. Find someone to trust at school. If you've been bullied in your past school years and you're uncomfortable at school, find someone you trust. It doesn't have to be someone in your grade. There are great people to talk to in guidance centers about daily problems at school. You could also find a teacher you really trust to reach out to. Teachers are there to be educators and supporters. It's also a good idea to have your parents reach out to administrators and teachers about your past experiences so that they are aware of people and things to watch out for. You have a right to be at school and to be in a safe environment. 3. Learn how to #BeBrave. 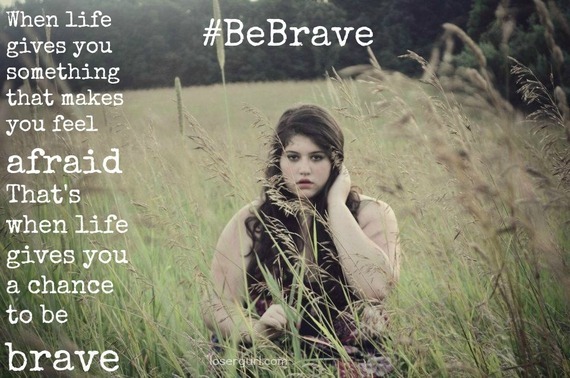 Being brave is a simplified version of how to end bullying. It's not always easy. In fact, it can be hard, but I promise you one thing, once you stand up to those who are bullying you and refuse to accept their behavior, they will leave you alone. If you stand up and report their actions, they will leave you alone, eventually. Most schools have anti-bullying policies in place and are cited in their handbooks. Get to know those rules. One of the hardest things I've ever done was deciding to be brave for myself, but it saved me. 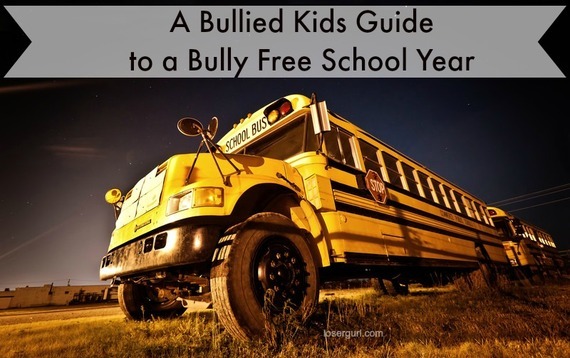 You may have had a hard time in the past, but you deserve to have a bully free school year. YOU DESERVE to enjoy school. You may not become a popular kid, but you certainly can take steps to be more comfortable in school. Take risks, talk to people you normally wouldn't talk to. Raise your hand. Show confidence! Don't let the bullies bring you down. Stand up for yourself. If you see someone else getting bullied, stand up for them as well. Make friends and be there for other people who get bullied. If you band together, the bullies have no power. This was originally published on Ally's blog, Losergurl.com.